So it appears to be the "back-tick" character causing the problem. Any idea how I can correct this via PuTTY settings? PuTTY is interpreting the characters being sent by the terminal incorrectly. 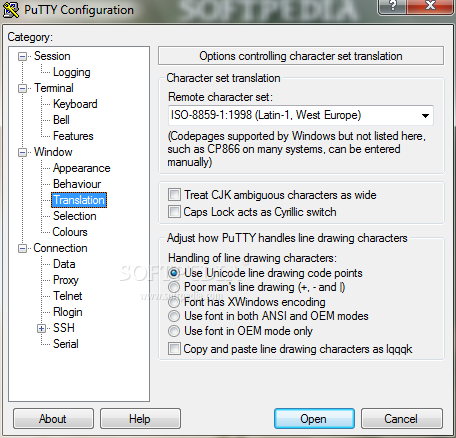 You can change the character set under the Window category in the Translation settings. Change the Received data assumed to be in which character set: to the correct character set. UTF-8 worked for me. Not the answer you're looking for? Browse other questions tagged windows-7 ubuntu-9.10 putty character-encoding or ask your own question.